I was recommended to this company by a good friend. He has rented vans to travel from Outdoorsy, but wasn’t sure how it would be if I rented my Tiny Home on Wheels with this company. So, I gave it a try. I signed up and immediately got several emails of people requesting my RV. 80% of those messages were people asking to take my RV to Burning Man 2018 and I didn’t want it there so I told them no. Instead, I picked someone who was going to take it “rock climbing” to the National Parks in California. I told them I didn’t want it at Burning Man, they assured me they wouldn’t. I let them pick the RV up the night before their rental so “they can hit the road early”. I spent 2 hours walking through the RV with them and explaining how everything works. All 5 of them assured me that they will NOT bring it to Burning Man. I even had the owner of the property where it was parked witness this. They left with my RV and two days later I wake up with pictures of my RV at Burning Man with the park ranger taking a selfie and several friends who were also camped near by. I immediately contacted the company. The company told me they breached their contract, they should return immediately and they will be responsible for all damages done to the vehicle. Outdoorsy told me to bring it to a mechanic immediately and that I can hold their $500 security deposit and request additional money if the damages exceed this. Eight days later, they finally answer me and were denying being at the Playa and Burning Man. I sent them the photos. I asked them to return my RV immediately and to be very careful with cleaning it. The exterior is hand painted and the Art was very expensive on the exterior. I also explained that nothing was prepped prior and that all of my things will now be ruined or damaged. They didn’t return it when I asked. Instead, they returned is late and I missed my mechanical appointment and had to reschedule. When they returned the RV they were rude. Three of us (including myself) recorded the 2 hour return of the RV. There was Playa dust (Alkaline dust) on everything. They removed the hand painted art on the exterior of the vehicle by scrubbing Alkaline with water, known to remove paint with a high pH. There was playa dust everywhere. In the vents, shower grout, corners of things, completely covering the undercarriage of the RV, in the engine, on my appliances, etc. When we went to check the mileage to write it on the contract, the check engine light was on and I asked them about it and they fought with me. I wrote all the damages I could visibly see on the contract and we BOTH signed off on it. At first Outdoorsy told me they will have them pay for the damages and that I can hold onto their security deposit until I have it checked by a mechanic and all the quotes submitted for the damages. I sent Outdoorsy over 44 pictures time stamped from the date they returned it showing the damages, I also sent 19 videos of the damages also time stamped. I even sent them a copy of the contract again that we signed that stated the damages. I drove to over 3 mechanics getting quotes for the damages and cleaning and to fix the paint. I paid for the mechanical diagnosis fee as well. There is over $1,300 in mechanical work that needs done and that doesn’t include them fixing my radio they broke. There is over $1000 worth of cleaning that needs to be done and no cleaning company in the area will even clean an RV after Burning Man. I than took it to an RV body shop to have it quoted to paint it a solid color since they ruined my hand painted art which is also my business logo and a working maze for events I run and Tiny House Festivals I attend. They charge $33,000 just to paint it over. 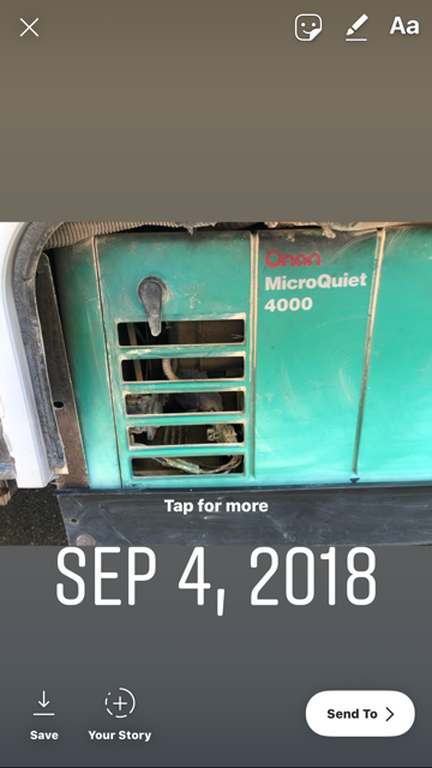 I emailed all of this to the company and request at least the mechanical bills, cleaning, and some money towards fixing the paint on the exterior. Outdoorsy responds with telling me they are issuing the renters full security deposit back to them. I said absolutely not! Then the company offers me $250 for the damages. That doesn’t even cover the diagnosis bill and the money they owed me for overages from the rental. I have been going back and forth with the company. I did everything I can on my end and provided all of the documentation Outdoorsy told me too. I followed their procedures and read their articles pertaining to Burning Man. Do not rent your RV with this company. They took over $300 out of my renting fee for “insurance” and then offer me $250 when the quoted bills and money they owe me reports to $36,000. This company is a fraud! I highly recommend not giving your business to this company! Make sure to check my YouTube channel this week to see the full video showing the communication with Outdoorsy, all the video and photos and more! This article was reposted with permission from ArtVanGrow.com and also appears on the Homestead Guru.